WHY do nearly 75 percent fail their state licensing exam? MAYBE it’s about more than trade knowledge. MAYBE there is “something else”. BTES has over 40 years experience helping people like you and we know what that “something else” is! We provide you with professional instructors with years of teaching experience in their respective trades. More importantly, BTES has developed and perfected a proven system with a 95+ percent success rate! 75% FAIL RATE or 95%+ PASS RATE? Give BTES a call at 1-800-832-2496 to find out how we can help you stack the odds in your favor. 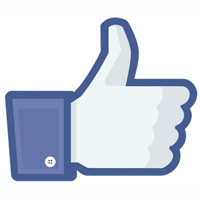 Click here to visit us on Facebook – don’t forget to Like us while you’re there! At Building Trades Education Services, our mission statement is: to prepare you to pass your state or county contractor’s exam and to provide you with quality, continuing education required to maintain you license. After 40 solid years of business, our exam prep classes and home study courses have helped thousands of Florida contractor’s pass state and country licensing examinations the very first time. Our courses are time-tested and demonstrated to work. We give you the tools and knowledge you need to take these exams with confidence. Why should you choose Building Trades Education Services? BTES has a NO PASS, NO PAY GUARANTEE. Current licensing exam preparation using the referenced Codes & Standards as required by the Florida Department of Business and Professional Regulation. Limited class size to allow for more of a “one-on-one”/”personal guidance” type feel rather than feeling like just another number lost in a sea of other exam candidates. We run focused classes; no mixing of unrelated trades. That means electrical with electrical related; plumbing with plumbing related; HVAC with HVAC related and General Trades with General Trades related. Your instructors are or have been State Certified Contractors and\or College Level Educators who not only care about your success, but who KNOW the material to be able to properly teach you what you need to know to be successful on exam day! Repeat your class for free for 1 year. We have the most current and up-to-date exam content information available in most of the larger trade classes. Remember that God is perfect…..we have an 800 number! Please use it for any questions or corrections you may need or encounter. One-on-one Exam Prep tutors are available by special arrangement and at extra cost. CALL FOR DETAILS! You can depend on Building Trades Education Services to give you everything you need to successfully pass your Florida State or County licensing exam. To register for classes, call 1-800-832-2496. If you need to contact us after hours, please feel free to use our Quick Contact form to your right, or go to our Contact Us page and we will get back to you as soon as possible. 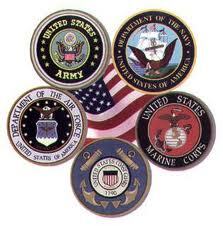 We Honor Our Service Men and Women by Offering a $100.00 Discount on Any of Our State Courses. Please Call Us For Details and We Thank You for Your Service! I am glad to say that your curriculum can only be described as "Fantastic." The program of study that you have laid out us exceptionally effective and I followed it diligently. My test scores were 92% on the Business & Law test and 91% on the General Contractors exam.